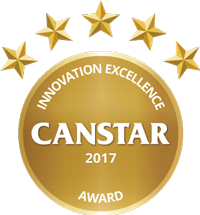 Canstar’s Innovation Excellence Award uses a sophisticated rating methodology, unique to CANSTAR, that compares submissions we receive from financial institutions throughout New Zealand. CANSTAR Award winners are selected from financial-related innovations launched over the past year, after being reviewed assessed and ranked. Thousands of New Zealand kids are receiving money lessons from a digital elephant, thanks to ASB’s Clever Kash. Westpac’s mobile app, CashNav, simplifies budgeting, so you know what you’re really spending your money on.